Every subclass in Destiny 2: Forsaken can unlock new Supers — and unlocking them isn’t 100% obvious. Here, I’m going to discuss how to collect Visions of Light fast so you’ll be able to unlock the powerful new Supers as soon as possible in your journey through Forsaken. To unlock the secondary Super, you’ll need to collect a powerful relic called a Seed of Light. This unique item is acquired from a mission you’ll receive after collecting a huge amount of ‘Visions of Light’. Get enough to complete a milestone and unlock the Super Upgrade mission. The mission has a recommended Power Level of 380, so you’ll want to be well-equipped before attempting it. Visions of Light are a plot-required item that you need to collect to complete the milestone that unlocks the Super Upgrade mission. Get enough Visions of Light, and you’ll be able to play through the “New Powers” milestone. Farming Tips: Visions of Light are dropped from a variety of sources, but the best way to collect them fast is by completing Public Events in the new Tangled Shore area. Visions of Light drop when defeating enemies, or during Public Events — and you’ll find plenty of bosses. Join a team and cycle through Public Events. If there are none, hunt VIPs — the Lost Sectors tend to be too difficult, so you can ignore those until you’re higher PL. Once you complete the “New Powers” milestone, a mission will unlock on Io called “Vision of Light” — complete it, and you’ll earn a “Seed of Light” that can spend on any of the unlocked subclasses you have. You can only use one, so choose carefully. 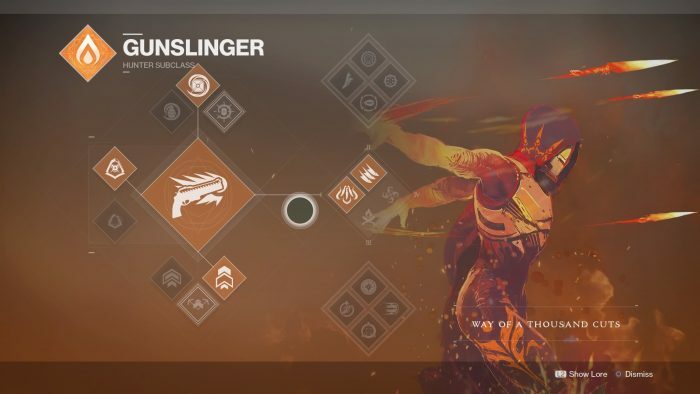 There are nine new supers you can unlock — one for each Guardian subclass. Gunslinger – Blade Barrage: Launch a barrage of burning blades that explode on contact. Arcstrider – Whirlwind Guard: Enhance your standard Super with Whirlwind Guard, reflecting enemy projectiles and tripling your damage after using the guard. Nightstalker – Spectral Blades: Drops the Guardian into a Veil of Shadows, making a powerful melee strike easy to pull off, and incredibly powerful. Sunbreaker – Siege Hammer: Throw your massive hammer with melee, but it doesn’t come back. Retrieve it to recharge your melee and trigger an instant health regen. The more Solar-based kills you earn, the more powerful the hammer becomes — up to triple damage. Striker – Thundercrash: Fly into the air, and groundpound for Super energy. While active, sliding through ammo will automatically reload your equipped weapon and give you a damage boost. Thundercrash launches you like a meteor, dealing extreme damage. Sentinel – Barrier Shield: Hold the Barrier Shield guard to infuse your shield with light, blocking enemy attacks but allowing ally bullets to pass through. Melee attacks also cause Void-based explosions. Dawnblade – Well of Radiance: Transforms your grenades into blessings. Hold Grenade Throw to heal allies and drop overshield orbs. Melee attacks burn enemies but empower allies, while the Well of Radiance is an overhead sword strike with a wide radius that heals allies. Voidwalker – Nova Warp: Adds a powerful ATOMIC BREACH melee ability that hits at long-range. Hold down Grenade to create a short-range Supernova explosion, while Void kills recharge your abilities. Nova Warp gives you the ability to teleport rapidly, ending with a burst of energy.